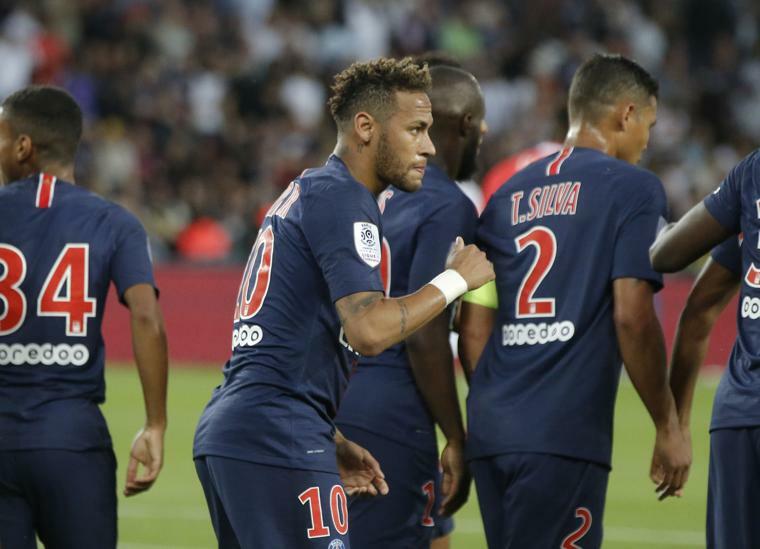 Neymar took just 10 minutes to score defending champion Paris Saint-Germain's first goal of the season, and teen striker Timothy Weah netted the first of his French league career, in a 3-0 home win against Caen on Sunday. On the same pitch where he broke his foot against Marseille six months ago, Neymar ran onto a pass from midfielder Christopher Nkunku and coolly slotted the ball past goalkeeper Brice Samba and into the bottom left corner. Samba was at fault for the goal after botching a clearance and instead passing straight to Nkunku. The visitors almost equalized moments later but veteran Italian goalkeeper Gianluigi Buffon made a smart stop from striker Malik Tchokounte's volley. But after another mistake, when Caen lost the ball in midfield, winger Angel Di Maria broke down the right and set up midfielder Adrien Rabiot for a tap-in in the 35th. Buffon saved again, this time near halftime, and smiled after preventing a headed own-goal from PSG captain Thiago Silva. It was a comfortable first league game in charge for PSG coach Thomas Tuchel — who replaced Unai Emery — and he chose to rest several players. They included forward Kylian Mbappe, who helped France win the World Cup, and Belgium right back Thomas Meunier. Tuchel picked three 19-year-olds in his side, underlining his reputation from his time as a coach in Germany , where he fast-tracked players from the youth academy at Mainz. Neymar, making his first appearance since Brazil's World Cup quarterfinal defeat to Belgium, had a quiet game after his goal and was replaced 10 minutes from time by the 18-year-old Weah. Samba made another glaring mistake near the end, gifting another goal after failing to properly clear a back pass. Weah, who is the son of Liberia President and former PSG striker George Weah, gleefully stroked the ball home. Monaco, Lyon and Marseille also clinched victories — meaning the top four from last season all won their opening games — and Marseille leads on goal difference from PSG after beating Toulouse 4-0 on Friday. Memphis Depay expertly curled in a free kick as Lyon beat Amiens 2-0 at home. With 15 minutes remaining, the Netherlands forward whipped the ball from the left into the top right corner to seal a comfortable victory after winger Bertrand Traore scored with a neat run and finish in the 24th minute. Depay scored 19 league goals last season, finishing it strongly to put himself in the frame for a move to a bigger club. 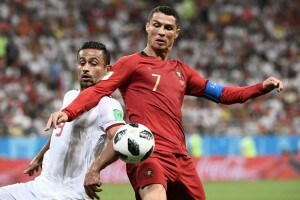 The former Manchester United player recently said that, although he feels happy at Lyon, he is open to a move before the summer transfer window closes at the end of August. Also Sunday, Strasbourg won 2-0 at Bordeaux. Strasbourg played most of the game with an extra player after Brazilian defender Pablo was sent off in the 13th minute for pulling back forward Ludovic Ajorque as he ran through on goal. The Alsace side made the pressure count in the 68th through a goal from midfielder Ibrahima Sissoko, and striker Nuno Da Costa struck 10 minutes later.